Stem cell treatment and research towards curing illness–from multiple sclerosis to spinal injury–is detailed by Dr. Neil Riordan. The American medical industry, obstructions to research in the states, misconceptions about stem cells, and the details about the treatment process are explained–and we look at video of patient recovery and speculate at what the future could spell for stem cell treatment and research in this Lip News interview, hosted by Elliot Hill. Dr. Neil Riordan is the founder and Chairman of Medistem Panama, a leading stem cell laboratory and research facility – located in Panama City. His institute is at the forefront of research of the effects of adult stem cells on the course of several chronic diseases. Dr. Riordan has more than 60 scientific articles in international peer-reviewed journals. In the stem cell arena, he and his colleagues have published more than 20 articles on Multiple Sclerosis, Spinal Cord Injury, Heart Failure, Rheumatoid Arthritis. The Stem Cell Institute, located in Panama City, Panama, will present an informational seminar about umbilical cord stem cell therapy on Saturday, September 20, 2014 in San Antonio, Texas at the La Cantera Hill Country Resort from 1:00 pm to 4:00 pm. Dr. Riordan is the founder of the Stem Cell Institute and Medistem Panama Inc.
Dr. Paz is the Medical Director at the Stem Cell Institute. He practiced internal medicine in the United States for over a decade before joining the Stem Cell Institute in Panama. Dr. Vaughan is Board Certified in Orthodontics (Diplomate of the American Board of Orthodontics) and she is a Fellow in the International College of Dentistry. She is a U.S. national Dance Sport Champion, currently holding national titles in 16 divisions of ballroom dancing including numerous gold medals. She was previously the #1 Pro/Am Ballroom Dancer in the United States. Light snacks will be served afterwards. Our speakers and stem cell therapy patients will be on hand to share their personal experiences and answer questions. Admission is free but space in limited and registration is required. For venue information and to register and reserve your tickets today, please visit: http://www.eventbrite.com/e/stem-cell-institute-seminar-san-antonio-tickets-12029022129 or call Cindy Cunningham, Patient Events Coordinator, at 1 (800) 980-7836. Founded in 2007 on the principles of providing unbiased, scientifically sound treatment options; the Stem Cell Institute (SCI) has matured into the world’s leading adult stem cell therapy and research center. In close collaboration with universities and physicians world-wide, our comprehensive stem cell treatment protocols employ well-targeted combinations of autologous bone marrow stem cells, autologous adipose stem cells, and donor human umbilical cord stem cells to treat: autism, cerebral palsy, multiple sclerosis, spinal cord injury, osteoarthritis, rheumatoid arthritis, heart disease, and autoimmune diseases. In partnership with Translational Biosciences, a subsidiary of Medistem Panama, SCI provides clinical services for ongoing clinical trials that are assessing safety and signs of efficacy for autism, multiple sclerosis, osteoarthritis, rheumatoid arthritis, and spinal cord injury using allogeneic umbilical cord tissue-derived mesenchymal stem cells (hUC-MSC), autologous stromal vascular fraction (SVF) and hU-MSC-derived mesenchymal trophic factors (MTF). In 2014, Translation Biosciences expects to expand its clinical trial portfolio to include heart disease and cerebral palsy. Since opening its doors in 2007, Medistem Panama Inc. has developed adult stem cell-based products from human umbilical cord tissue and blood, adipose (fat) tissue and bone marrow. Medistem operates an 8000 sq. ft. ISO 9001-certified laboratory in the prestigious City of Knowledge. The laboratory is fully licensed by the Panamanian Ministry of Health and features 3 class 10000 clean rooms, class 100 laminar flow hoods, and class 100 incubators. A subsidiary of Medistem Panama Inc., Translational Biosciences was founded solely to conduct clinical trials using adult stem cells and adult stem cell-derived products. Ryan Benton, a 28 year-old Duchenne’s muscular dystrophy patient from Wichita, Kansas, received his first umbilical cord tissue-derived mesenchymal stem cell treatment yesterday at Asthma and Allergy Specialists of Wichita, KS following US FDA approval of his doctor’s application for a single patient, investigational new drug (IND) for compassionate use. Ryan Benton, a 28 year-old Duchenne’s muscular dystrophy patient from Wichita, Kansas, received his first umbilical cord tissue-derived mesenchymal stem cell treatment yesterday following US FDA approval of his doctor’s application for a single patient, investigational new drug (IND) for compassionate use. Duchenne muscular dystrophy (DMD) is a rapidly progressive form of muscular dystrophy that occurs primarily in boys. It is caused by an alteration (mutation) in a gene, called the DMD gene, which causes the muscles to stop producing the protein dystrophin. Individuals who have DMD experience progressive loss of muscle function and weakness, which begins in the lower limbs and leads to progressively worsening disability. Death usually occurs by age 25, typically from lung disorders. There is no known cure for DMD. This trial, officially entitled “Allogeneic transplantation of human umbilical cord mesenchymal stem cells (UC-MSC) for a single male patient with Duchenne Muscular Dystrophy (DMD)” marks the first time the FDA has approved an investigational allogeneic stem cell treatment for Duchenne’s in the United States. Ryan received his first intramuscular stem cell injections from allergy and immunology specialist, Van Strickland, M.D at Asthma and Allergy Specialists in Wichita, Kansas. He will receive 3 more treatments this week on consecutive days. Dr. Strickland will administer similar courses to Ryan every 6 months for a total of 3 years. This is not the first time Ryan has undergone umbilical cord mesenchymal stem cell therapy. Since 2009, Ryan has been traveling to the Stem Cell Institute in Panama for similar treatments. Encouraging results from these treatments prompted Dr. Strickland to seek out a way to treat Ryan in the United States. The stem cell technology being utilized in this trial was developed by renowned stem cell scientist Neil H. Riordan, PhD. Dr. Riordan is the founder and president of the Stem Cell Institute in Panama City, Panama and Medistem Panama. Medistem Panama is providing cell harvesting and banking services for their US-based cGMP laboratory partner. Funding for this trial is being provided by the Aidan Foundation, a non-profit organization founded by Dr. Riordan in 2004 to provide financial assistance for alternative therapies to people like Ryan. Dr. Strickland came to Wichita in 1979 from his fellowship at the National Jewish Hospital in Denver. Since then he has spent one year in Wyoming, one year in Dallas, Texas and one year in Lee’s Summit Missouri before returning to full-time practice in Wichita, Kansas. Dr. Strickland has been a clinical faculty member at The University of Kansas School of Medicine in Wichita in the department of Pediatrics and later in the department of internal medicine for most of his years in Wichita. Dr. Strickland is certified by the American Board of Allergy and Immunology and the American Board of Pediatrics. He graduated from Baylor College of Medicine in Houston, Texas and served a full residency in Pediatrics at Baylor and a fellowship in Allergy and Immunology in Denver at National Jewish. He has trained in allergy and immunology at the University of Texas School of Medicine in Galveston as an elective while at Baylor and was a student on the team with Mary Ann South, MD and John Montgomery, MD who put baby David in the Bubble (Bubble Boy). Dr. Strickland is a fellow of The American Academy of Allergy, Asthma and Immunology, The American College of Allergy, Asthma and Immunology, The American Association of Certified Allergists, The American Academy of Pediatrics, and The American College of Physicians. Dr Strickland has been recognized in the “Top Doctors in Wichita” listing several times. Neil Riordan PhD is the co-founder of the Riordan-McKenna Institute, a regenerative orthopedics clinic that will open its doors in Southlake, Texas in late 2014. RMI will offer non-surgical stem cell treatments and stem cell enhanced surgeries for orthopedic conditions. He is the founder and chairman of Medistem Panama, Inc., (MPI) a leading stem cell laboratory and research facility located in the Technology Park at the prestigious City of Knowledge in Panama City, Panama. Founded in 2007, MPI stands at the forefront of applied research on adult stem cells for several chronic diseases. MPI’s stem cell laboratory is ISO 9001 certified and fully licensed by the Panamanian Ministry of Health. 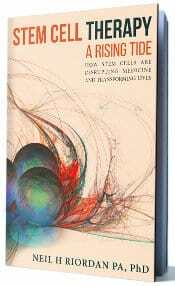 Dr. Riordan is the founder of Stem Cell Institute (SCI) in Panama City, Panama (est. 2007). Under the umbrella of MPI subsidiary Translational Biosciences, MPI and SCI are currently conducting seven IRB-approved clinical trials in Panama for autism, multiple sclerosis, rheumatoid arthritis and osteoarthritis using human umbilical cord-derived mesenchymal stem cells, mesenchymal trophic factors and stromal vascular fraction. Additional trials for spinal cord injury, and cerebral palsy are scheduled to commence in late 2014 upon IRB approval. Dr. Riordan’s research team collaborates with a number of universities and institutions, including National Institutes of Health, Indiana University, University of California, San Diego, University of Utah, University of Western Ontario, and University of Nebraska. Dr. Riordan has published over 60 scientific articles in international peer-reviewed journals and authored two book chapters on the use of non-controversial stem cells from placenta and umbilical cord. He is listed on more the 25 patent families, including 11 issued patents including a 2010 patent for a new cellular cancer vaccine. In 2007, Dr. Riordan’s research team was the first to discover and document the existence of mesenchymal-like stem cells in menstrual blood. For this discovery, his team was honored with the “Medical Article of the Year Award” from Biomed Central. 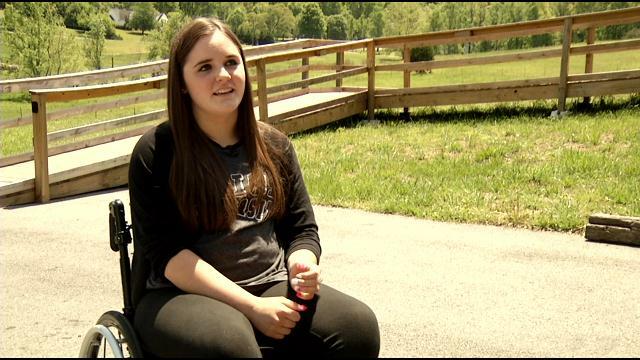 WHITFIELD COUNTY, GA (WRCB) – A North Georgia community is rallying around a teen girl recovering from a head-on car crash. She recently took her first steps since becoming paralyzed one year ago. 17-year-old Hannah Locke was riding in her family’s car last April when another car hit them head-on. She’s been confined to a wheelchair ever since, but now, a breakthrough. Her community is trying to raise money for more treatment in hopes she’ll be able to walk on her own again someday. Hannah is a junior at Coahulla Creek High School. Before the paralyzing accident she was a three sport athlete. Now her drive has shifted to getting out of the wheelchair she’s been in for the last year. She says it’s with her faith and community that she’s getting closer reaching that goal. Her friends are hoping to give her a boost this weekend. It’s been a year full of challenges far beyond most teens, but Hannah Locke is only growing stronger. She recently took her first steps since becoming paralyzed one year after a head-on crash. In just the last month, she’s re-gained some control over the lower half of her body. “They laid me down and told me to try to kick my legs and they did it and we were all like, what just happened,” Hannah said. Now she’s walking with a harness. “Feeling emotion-wise, it’s exciting but feeling-wise, it’s weird to see my feet moving and not really be in complete control over them or feel them,” Hannah said. “I don’t think we’ve ever been filled with so much joy before because I know how hard she works on a daily basis whether it’s therapy or here at home just getting out of bed, doing normal things me and you do that’s so much harder for her,” friend Jordan Greene said. Hannah says people throughout Whitfield County have been there holding her hand through it all. They’ve held fundraisers to help pay some of her medical expenses, but this weekend they’re going bigger. They’ve organized a benefit concert featuring Christian musicians and some cast members from the show Duck Dynasty. “People throughout the community were just like oh you need posters, we’ll print them, oh you need t-shirts we’ll do that, oh you need a gym, come use ours,” Greene said. The money will pay for a return trip to Panama where Hannah hopes to get more stem cell injections that are helping re-connect the nerves in her legs. Those who know her say they’ll do everything they can to get her back on her feet again. They say she’s a girl who inspires everyone she meets with her positive attitude and unwavering faith in God. “He always finds a way to shine a light in the toughest storms,” Hannah said. We received this message from Debra Deuble yesterday. Debra gave us the ok to share it with everyone. The Stem Cell Institute, located in Panama City, Panama, will present an informational umbilical cord stem cell therapy seminar on Saturday, May 17, 2014 in New York City at the New York Hilton Midtown from 1:00 pm to 4:00 pm. Light snacks will be served afterwards. Our speakers and stem cell therapy patients will also be on hand to share their personal experiences and answer questions. Admission is free but space in limited and registration is required. For venue information and to register and reserve your tickets today, please visit: http://www.eventbrite.com/e/stem-cell-institute-seminar-tickets-11115112601 or call Cindy Cunningham, Patient Events Coordinator, at 1 (800) 980-7836. Founded in 2007 on the principles of providing unbiased, scientifically sound treatment options; the Stem Cell Institute (SCI) has matured into the world’s leading adult stem cell therapy and research center. 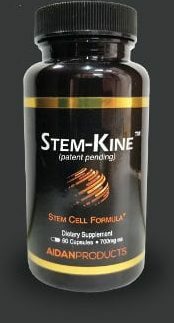 In close collaboration with universities and physicians world-wide, our comprehensive stem cell treatment protocols employ well-targeted combinations of autologous bone marrow stem cells, autologous adipose stem cells, and donor human umbilical cord stem cells to treat: multiple sclerosis, spinal cord injury, osteoarthritis, rheumatoid arthritis, heart disease, and autoimmune diseases. In partnership with Translational Biosciences, a subsidiary of Medistem Panama, SCI provides clinical services for ongoing clinical trials that are assessing safety and signs of efficacy for osteoarthritis, rheumatoid arthritis, and multiple sclerosis using allogeneic umbilical cord tissue-derived mesenchymal stem cells (hUC-MSC), autologous stromal vascular fraction (SVF) and hU-MSC-derived mesenchymal trophic factors (MTF). In 2014, Translation Biosciences expects to expand its clinical trial portfolio to include spinal cord injury, heart disease, autism and cerebral palsy. To-date, SCI has treated over 2000 patients. Sam Harrell sent us this homemade video documenting his progress from 2010 until now (2014). Sam was coaching football at Ennis high school in Texas when MS struck him hard, forcing him to retire. Since then, after several rounds of stem cell therapy at the Stem Cell Institute in Panama, Sam has returned to coaching football, something he though that he would never be able to do again. The Mendez family discusses their son’s progress following several rounds of stem cell therapy at the Stem Cell Institute. They’ve requested that we not use their first names in order to maintain privacy. What is your son’s diagnosis? What symptoms did he have before coming for stem cell treatment? At six years old, he had a very short attention spam and very little speech. He had a lot of constipation and problems with balance and coordination. We were extremely concerned. What did you try in the US before seeking help outside the country? We tried everything with our son. He was treated by a DAN Doctor and we did many biomedical treatments. He was doing intense speech therapy and many hours of Hyperbaric Oxygen Therapy, but he still had very little speech and we were very frustrated with the lack of progress. Why did you choose the Stem Cell Institute? After doing a lot of research and talking to other parents who had success with Stem Cell treatment for their children, we decided we needed to try. We choose the Stem Cell Institute because we spoke to other parents who had great results and read about their research. We also went to their conference in Texas. How were the doctors at the clinic? The doctors at the clinic were very knowledgeable and professional. The clinic was impeccable. How are your son’s symptoms now? After our son’s stem cell treatments, he has improved tremendously. He has a great attention span and has gained a ton of speech. He is no longer constipated and the improvements keep coming. We saw huge improvements in just weeks after the stem cell treatments that we never saw with years of Biomedical treatment and speech therapy. When did you start noticing a difference? We say improvements just after two weeks. How has this changed your lives? This treatment has changed our lives significantly. Our son is able to speak in sentences and express himself. He can sit and eat at a restaurant and has absolutely no problems with attention. He is a different child than he was before we started the treatments, and everyone is amazed at how well he is doing. We are grateful to God for helping us to find this treatment because now we can see our son being fully recovered. We are very thankful to everyone at the Stem Cell Institute for the amazing job they are doing. Stem Cell Pioneers featured Dr. Riordan in its February installment of “Ask the Doctor”, a monthly segment that features stem cell scientists and doctors answering questions from readers about stem cell therapy. Over the next several days, we will share these questions and Dr. Riordan’s answers with our readers. Question: Are there some conditions such as neurological ones that respond better when the cells are greatly expanded? Is a high quantity essential for success or is that something that may be more of a selling point at some clinics? I have also seen this advertised for COPD and other conditions. It’s almost like the more cells the better, but I would like your opinion. Dr. Riordan’s Answer: That really depends on the quality of the cells after expansion. If they are still robust, not senescent, and still have a good secretion profile, then the more the better may be useful up to a point. If you take a small pool of starter cells and expand them to exhaustion, then I don’t think you are going to have a very good product. The MSCs used in Panama are not expanded beyond passage 5—a point at which there is no senescence in the population and they have a robust cytokine secretion profile. In order to use only cells that meet our release criteria, cells from approximately one (1.2 to be exact) out of 10 donated umbilical cords are used. Contrast that to cells from a patient’s own fat tissue that are expanded. 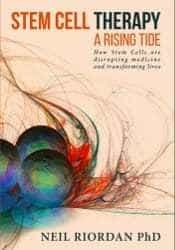 Firstly, the starting cells may, and many times are not very robust—they secrete little or no beneficial cytokines or chemokines, and must be expanded to hilt in order to hit the cell number. Please see my answer to number 7 for more on this subject. This brings up a slightly different, yet related topic. There has been a lot of talk at recent meetings about more defined endpoints for the cells being used, and I couldn’t agree more. There are MSCs from bone marrow, menstrual blood, fat tissue, umbilical cord (even different parts of the umbilical cord—around the blood vessels, from the Wharton’s jelly, from the subepithelium, from the cord blood itself—which are most likely contaminants from a bruised placenta rather than the blood), teeth, amniotic membrane, amniotic fluid just to name sources in the “we didn’t mess with mother nature” adult stem cell world. Add to that the infinite variables when you consider the age and physical condition of the donor, particularly when using adipose or bone marrow as a source material and we, as a field, could be saying almost anything by using the term, “mesenchymal stem cell.” I think it is time that there is standardization in the field beyond the current definition of expressing/not expressing certain surface markers and the ability to differentiate into fat, bone, and cartilage. That standardization could come from using endpoints such as “remaining proliferative capacity (the number of doublings achievable in culture from the treatment cell bank), the secretome, even if there is standardization of one or two molecules, such as HGF, or one of the prostaglandins. In the future I believe the field will take it a step further by measuring, even by a surrogate marker, the potential effects of the cells on the target condition. In the case of autoimmunity the cells and their secretions could be tested for their capacity to modulate the immune system. In the case of inflammatory conditions, the cells and their secretions could be tested for the ability to control or block inflammation.